Finding Hard To Recall Your Dreams? Now Simply Record Them! Wouldn’t it be nice if someone could record your dreams, your fantasies and superb ideas that strike your sub-conscious mind? Your wish would soon be fulfilled. 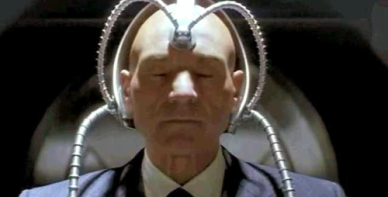 According to a new research, we can now record our dreams and thoughts that come in our sub-conscious mind. Scientists believe that development in this technology would allow us to read others’ thoughts too. Three (3) researchers from university of California, Berkeley participated in this experiment. They entered a functional MRI (Magnetic Resource Imaging) system. These three subjects were made to watch two different Hollywood movies trailers while the machine recorded their blood flow through the brain’s visual cortex, the part of the brain that process visual information. The readings of the machine were fed as input to a computer program which converted these readings into three-dimensional volumetric pixels called voxels. The brain signals generated by moving pictures are decoded by this process. In this experiment, a computer program was made that learnt the association of brain activity with the visual patterns in the movie while the subjects watched the first set of clips. Then the other set of clips tested the movie reconstruction algorithm. This computer program was made to analyze 18 million seconds of random YouTube videos. Thus a huge database was created for the potential brain activity. From this huge database, the computer program selected the one hundred clips that were almost similar to the ones watched by the subjects. This computer program mimics our brain. When we see a yellow flower, our brain tries to match this yellow color with the different shades of yellow color available in our memory. Similarly this computer program compares the brain reactions with the huge database of 18- million-second videos and picks up the clips that are most similar to the brain reactions. These clips are then merged into a video. This new video is almost similar to the original video clip that the subjects watched. Thus, bigger the database of videos repositories and higher the computing power, the better would be the results. This experiment is being considered as a major break-through in the history of computer science and biology. The neuroscientist Jack Gallant rightly stated “We are opening a window into the movies in our minds.” Scientists are also speculating that in coming decades, we would even be able to read each other’s minds. Previous article A Present Day Couple Captured In a Photograph 15 Years Before They Had Even Met at Disneyland- A tale of Sensational Odds. Next article Nature’s Marvel: Living Root bridges of Cherrapunji. A Present Day Couple Captured In a Photograph 15 Years Before They Had Even Met at Disneyland- A tale of Sensational Odds. Nature’s Marvel: Living Root bridges of Cherrapunji.